Once, many years ago, a game called Myst came into being, and it intrigued users with its beautiful graphics, interesting puzzles, and distinct lack of overt narrative. More than any other game that came before it, Myst set the standard for the then-popular adventure genre, and even held the distinction of being the best-selling PC game of all time for nearly a decade after its initial release. Time went on, however, and the adventure genre slowly lost popularity to more action-oriented genres like first-person shooters or real-time strategy games. Few developers would make an attempt to revitalize the genre, to say nothing of a number of Myst sequels and spin-offs, but no other title that's released since has done the adventure genre nearly as much justice as The Witness, the 3D puzzle title from Thekla, Inc. and the mind of designer Jonathon Blow. Much like with Myst, The Witness drops players into a quiet environment with a simple guide of figuring out just what the hell is going on. The Witness does this particularly well, specifically by leaving simple clues around the environment that may come in to play minutes or hours later. It's a game about exploration, about coming to terms with your surroundings, about solving increasingly-challening puzzles, and about soaking in the simple beauty of a world that clearly has more than a few secrets to hide. And now, for the first time ever, The Witness is available on iOS devices. 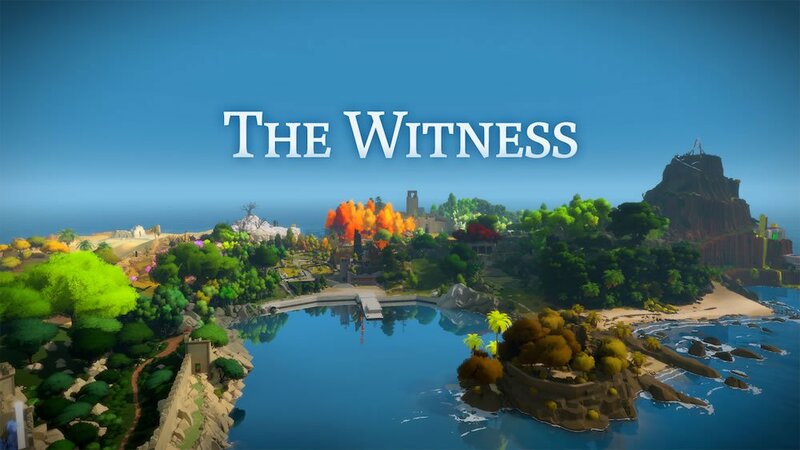 This reveal isn't exactly surprising, as several people from various companies have alluded to the title's eventual release for iOS, but the timing is somewhat surprising: amid the reveal of the iPhone X and Apple's inevitable rollout of iOS 11, The Witness is landing for iOS devices with very little fanfare. Far from making a big show, Apple stated that the game would be available "soon." only to release the title to the Apple App Store almost immediately afterward. We're not complaining, though. The Witness is a very unique and interesting game, and while it might not be everyone's cup of tea, it's developed a cult following and struck a nerve for many classically-trained PC gaming enthusiasts. It's a monster of a title for sure, with many players putting in 60 or more hours and still admitting that they have very little understanding regarding the world the game occupies. The fact that The Witness can say so little and still present such addictive gameplay is fascinating to say the least. And, considering that the iOS version only costs $10, The Witness stands to be one of the biggest and most time-consuming mobile releases to come in the last few years. Big, small, triple-A or indie, we've got many of our favorite iOS experiences featured over on our list of the Best iOS Games.